This new listing is of a hostess half-apron. 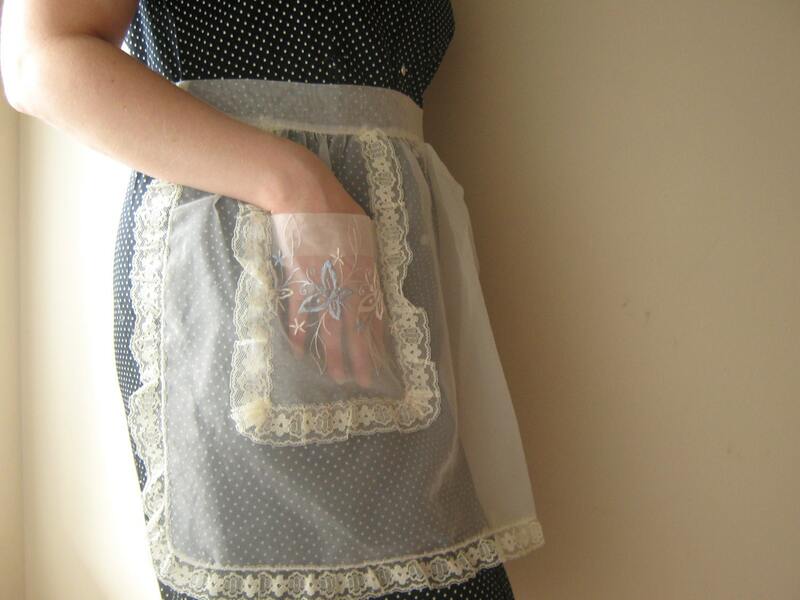 I think this style of vintage apron is so pretty....no so functional, though. My mother-in-law told me that in her circle, women in the 50's and 60's only wore these when serving food at weddings and when wanting to show off while hosting a party. I thought that was kind of funny. Too funny! Definitely not functional :) LOVE vintage aprons.